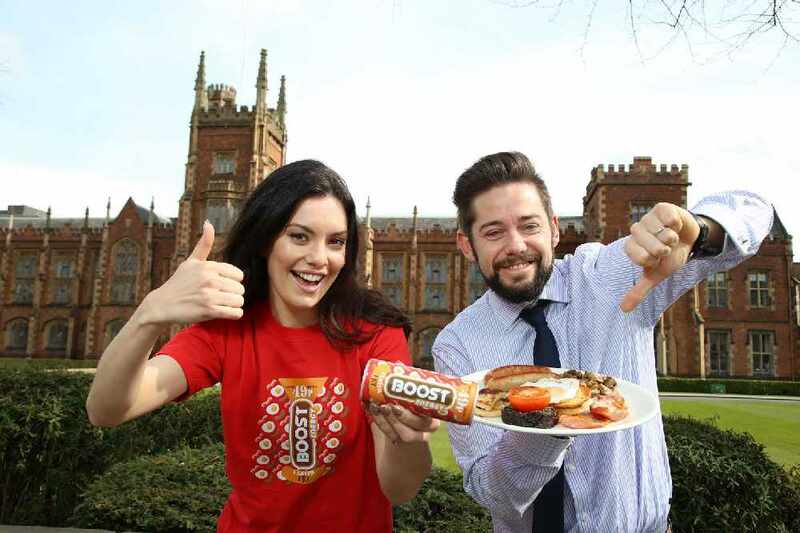 NORTHERN Ireland consumers will now be able to enjoy their breakfast in a can thanks to leading drinks company Boost which has launched an Ulster Fry flavoured energy drink. Following months of research and blind taste tests to find out Northern Ireland’s favourite home-grown flavours, the famous Ulster Fry came out tops ahead of Cheese and Onion crisps and the sweet taste of Yellowman. The new Boost Ulster Fry hits the shelves of convenience stores across Northern Ireland from today and Noel Allen, Boost’s Marketing Field Manager for Northern Ireland, is confident that it will be a huge hit with local consumers wanting a flavoursome energy boost first thing in the morning. “Boost provides people with incredible energy and sensational taste and we wanted to create a flavour unique to the province following the success of the Northern Ireland exclusive Boost Red Berry,” said Mr Allen. “The combination of tastes including succulent bacon and sausage, handpicked mushrooms and tomatoes, sit alongside the energising qualities of the soda and potato bread, with a caffeine kick that you get from your much-needed first cup of tea or coffee. This surprisingly tasty new flavour is perfect for people who are on the go or find themselves skipping breakfast in the morning,” Noel continued. Boost Ulster Fry is available in local convenience outlets across Northern Ireland from today.